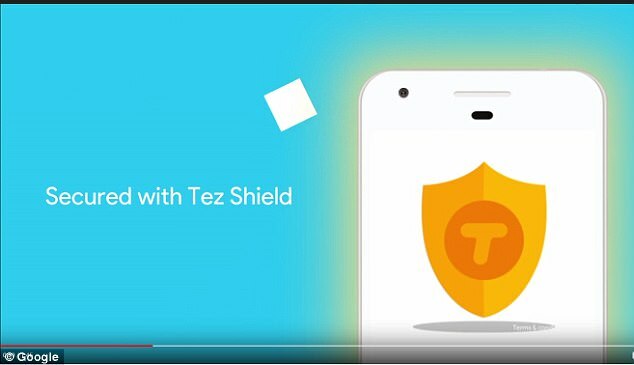 Tez Shield serves to help detect fraud, prevent hacking and verify user identity. So comes the security for our money paid through Tez App. Your Each transaction is secured with UPI PIN and the app is secured with a Google PIN or your screen lock method like a fingerprint. If you ever need help, our help center, phone, and chat support are available all day, every day. By using cash mode, A Tez user can pay to another nearby Tez user without furnishing private details like bank account number or phone number. Now you can transact with the simplicity of cash, but with added security. User can quite easily pay on apps and websites anywhere that UPI is accepted. When you pay you just look for the Tez UPI Id or Tez logo. Tez works with all major banks in India and a wide range of smartphone brands. So a user can pay and get paid by almost anyone. Supports English, Hindi, Bengali, Gujarati, Kannada, Marathi, Tamil, and Telugu, which is easy to understand and send money conveniently. Earn Tez Scratch Cards to win up to Rs.1,000 with each transaction and be eligible to win Rs.1 Lakh every week with Lucky Sundays. You don’t need to hunt for coupon codes. Just use Tez and if user win, his/ her rewards go straight into his/her bank account. First you will download Google Tez app from the Google Play Store or Apple App store. Step 2: Next, the user enters the phone number and the phone number links to your bank account. Step 4: As Google Tez supports App lock feature user has to provide an App lock of his/her choice for the security reasons. Step 5: Now you have reached the prime home screen now you can make payment via UPI then select your bank account number. Also, you can link your bank account number by providing basic bank details such as account number and IFSC code, as you would do for internet banking or mobile banking. While making a payment through Google Tez, the app will ask you to choose between the options like UPI ID, Scan QR code or Google Tez user phone number. If you have already done the mobile banking then the process is easy similar to Paytm. 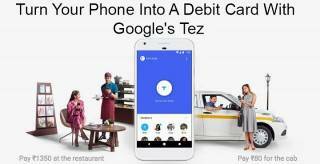 User cash mode is available to pay in cash to another nearby google Tez user without having to give private details like phone number and account with added security. At Ecphasis Infotech, our diligent experts in Mobile Application & Web design and development will make a tailored Mobile apps & Websites as per your requirements at reasonable cost. We are boasted with the best team young & dynamic professionals to meet your demands with picture perfect. Google Wallet: Google Wallet is a Mobile Payment App which is gaining popularity steadily. It works with NFC chip. To get started with this payment system user have to create PIN number and enter their card information. Next, tapping the back of the phone to the terminal payment could be made. The cloud connectivity feature allows the user to find the phone when it is lost. Paypal: Making a payment with PayPal account is easy and convenient. To make payment via PayPal all user should link their phone number and setup PIN and finally checkout options for paying the amount. Paypal allows only one phone number, safety level is at the peak.This system is also gaining popularity among users. Intuit GoPayment: This payment system allows iPhone 4.0+, android and tablets users with free card reader and app. With this payment service user pay the fraction of percentage of expenditure or subscribing to the monthly plan. Using the Intuit GoPayment App merchant can send the receipt of payment made by the customer for the items or goods purchased.Customers can also print the payment receipt for their reference. The information about the customer is stored in the database which the merchant can use it for sending promotional offers and coupon codes to customers. Square: Square is an established app for both iphone and Android. While the old version has add-on hardware facility, the latest version of square allows payment option easier by entering and saving their name. Verifone SAIL: Verifone is similar to Intuit payment system where it allows iPhone 4.3+ version and beta version of android smartphones and tablets with free card reader and app. User pay in a fraction of amount for the subscription. This system is also gaining its popularity among merchants. Merchants send E-mails to the customers, scan QR codes and also synchronizing goods and products across wide range of devices. Levelup: This is absolutely free app through which user can make payment by entering their card information. Once after giving card information they can make payments at any participating outlet. This app contains 4,000 participating merchants from the United States. Venmo: This is mobile payment service through which payment is made by pay-by-text-service. With this type of payment service users are allowed to make payment to all their facebook contacts and other contacts. They have to register themselves in order to retrieve the amount. Pay AnyWhere: Like Sail, Intuit Payment Pay Anywhere payment service is also allows free card reader and app for iphone 4.0+ and android 2.1+ users. But this app does not support tablets. Similar to the functionality like Verifone Sail and Intuit payment.